Check the boxes & select Email or Atom/RSS Feed. Get alerts for your own words. Run a search and follow the link from the results. Today’s customers expect communications that are timely, relevant and accessible. And as customer demands continue to rise, having the appropriate technologies in place to keep response rates and satisfaction levels high is crucial to modern business success. 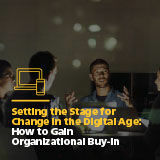 Adapting to the always-connected customer has become a catalyst for digital transformation. Time to double down and overhaul your customer communications strategy, right? You will have to register, or log in, in order to download this paper.